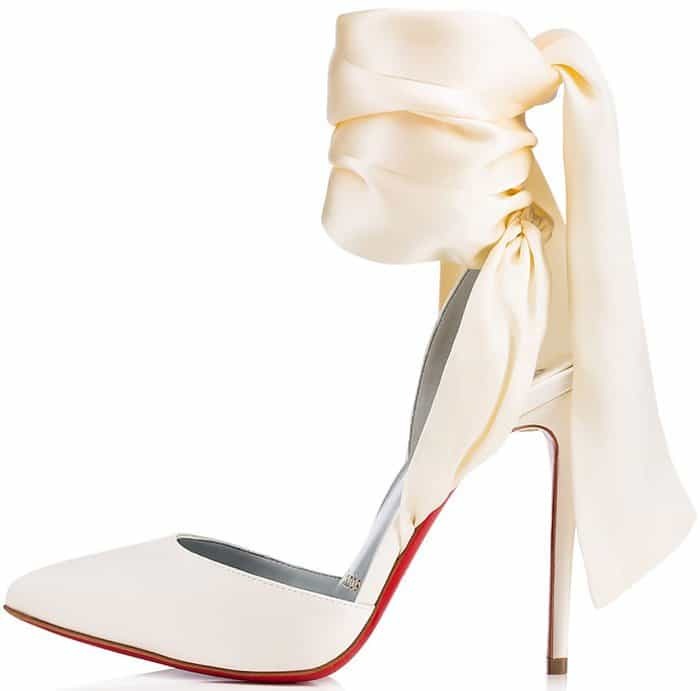 The broad wrap-around ankle ties on Christian Louboutin‘s “Douce Du Desert” bring a sumptuous, organic feel to this elegant evening shoe. 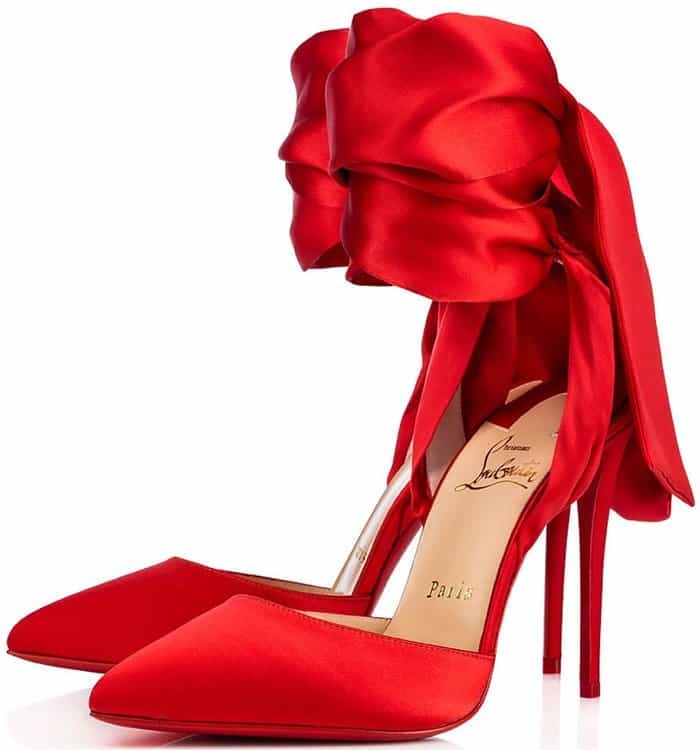 It features signature lacquered soles, pointed toes, and lustrous ribbon ties that are cut wide so as to knot into dramatically sized bows at the ankles. 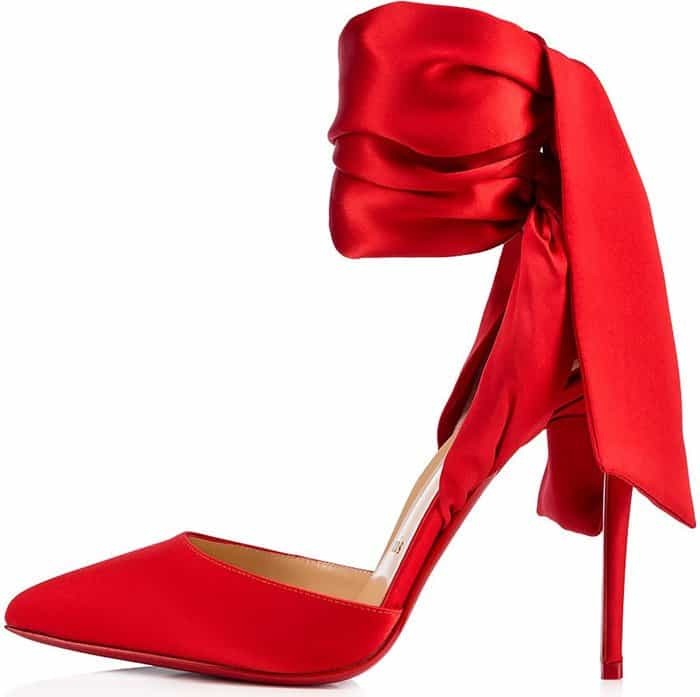 You can buy these sophisticated stiletto heels at Saks Fifth Avenue, Net-A-Porter, Neiman Marcus, and Nordstrom. Saoirse Ronan wore them to the 2018 New York Film Critics Circle Awards. Jourdan Dunn also sported this style at the 2017 Glamour Women of the Year Awards, while Lily James wore them to the world premiere of ‘Mamma Mia! Here We Go Again’ held at the Eventim Apollo in London, England. The English fashion model and actress styled her flamenco sandals with a coral-colored Ermanno Scervino Fall 2017 gown and Messika jewelry. The 29-year-old English actress took center stage in an ethereal strapless Oscar de la Renta ballgown with printed skirt detailing and an elegant bandeau neckline. 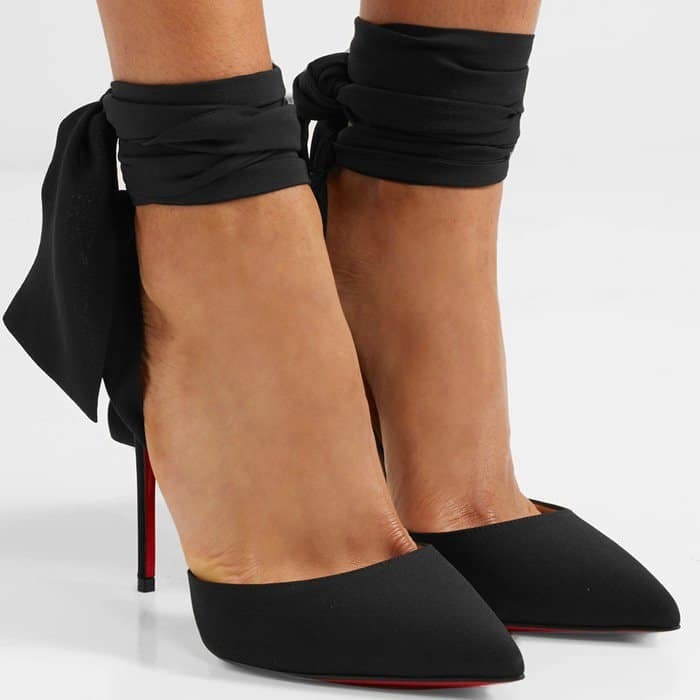 Her ensemble, which was styled by Rebecca Corbin-Murray, was perfected by Christian Louboutin’s ‘Douce du Desert’ ribbon tie pumps. 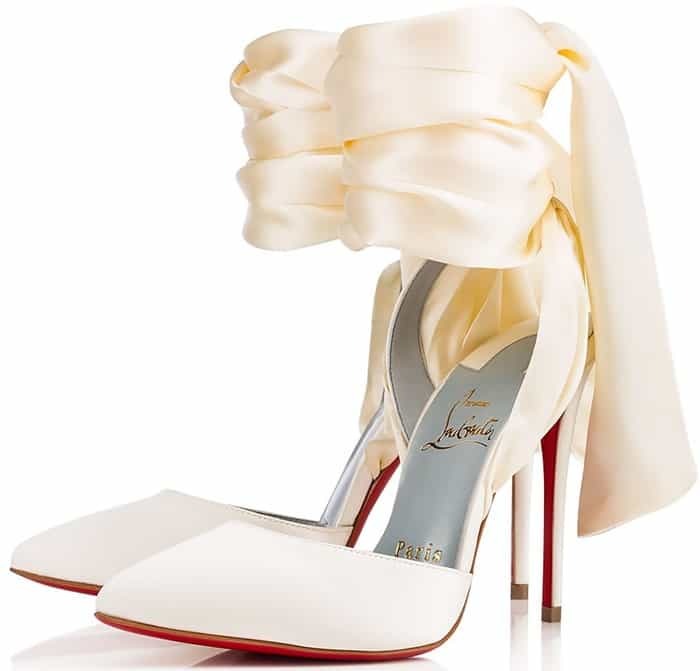 No wonder Christian Louboutin describes his ‘Douce du Desert’ shoes as “this season’s hopeless romantics”. 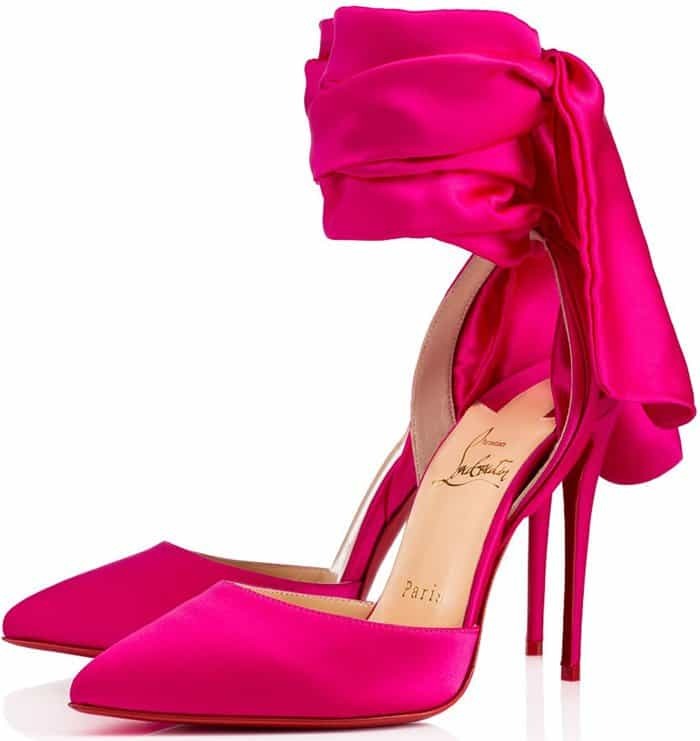 Do these pin-thin stiletto heels justice by keeping your hemlines high.